Isidore Bonheur was a superb sculptor whose best works are his cattle and horses. He did several sculptures of Thoroughbred horses and this fine large bronze shows a powerful Stallion captured in full stride. Most of Bonheur's horses are shown in a standing pose and this trotting Stallion is a rare model. 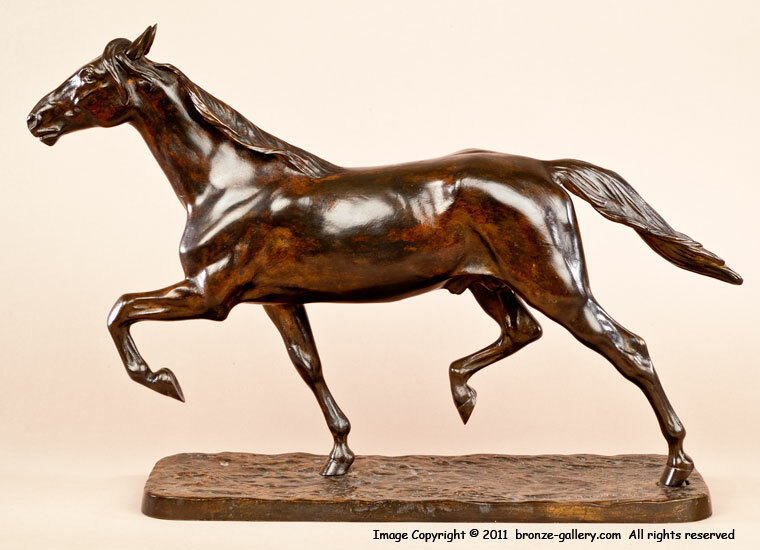 The artist's knowledge of anatomy shows in this fine bronze and you can see the muscles and structure of the horse. The bronze is an impressive model with good movement. It has a rich brown patina with sharp detail and it is signed on the base. 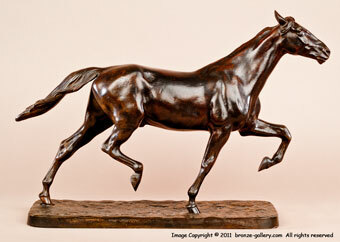 A very nice large bronze by one of the best of the 19th century Animalier sculptors.